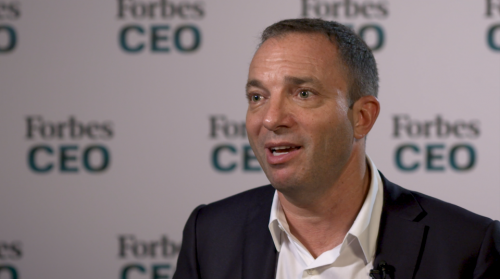 Mitch Garber, chairman of the live entertainment company Cirque du Soleil, talks to Forbes Asia about constant evolvement and what great leaders must be equipped with. In this edition of “Voices of Success” interview series, Garber, who is also a private equity investor talks about identifying a company’s strengths and building synergy to add incremental growth. Cirque du Soleil is one of the largest live entertainment businesses in the world. 11 million tickets a year, over a billion dollars of tickets. Today owned by TPG, Fosun, The Caisse De Dépôt pension fund in Quebec, and myself, and a number of private individuals in management. After we bought the Cirque du Solel, we realized what we really are is a live entertainment logistics company. And so we went and bought Blue Man Group, we went and bought Vstar, a children’s live entertainment touring group. And so we’re applying our expertise in live entertainment and live touring and logistics to companies that we’re buying to add incremental EBITDA and synergy to the Cirque du Soleil’s core business because we need to move. We need to move forward. So always evoloving, whether you call it piviting or evolving, technology will play a role, and just the general economy will play a role.